As I drifted alone in 2003-4, then finding some non-Christian friends, then a few Christian brothers, and then the local Calvary Chapel, it seemed I was gaining that fellowship we all need so badly. I was in church on Sundays and Bible studies on weeknights. At college I was growing in friendships with fellow Campus Crusade for Christ students. By 2007 when I graduated college, I had a bevy of good Christian friends around me, and constant fellowship in the Word and prayer. And yet, here in 2018 I am not in touch with a single person I counted as a friend there in 2004-6. Now, that’s only 12-14 years down the road—not a lifetime, mind you—and all those people I knew and cared about have become a memory. Well, there is one with whom I talk once or twice per year, but even that friendship, which I counted as my best friendship for several years, has dissolved into the acid of indebted, frantic American life. It seems to me that true Christian friendship is as fleeting as the thrill of a good supper. You chew, you swallow, you’re done, and the flavor becomes a nice memory. 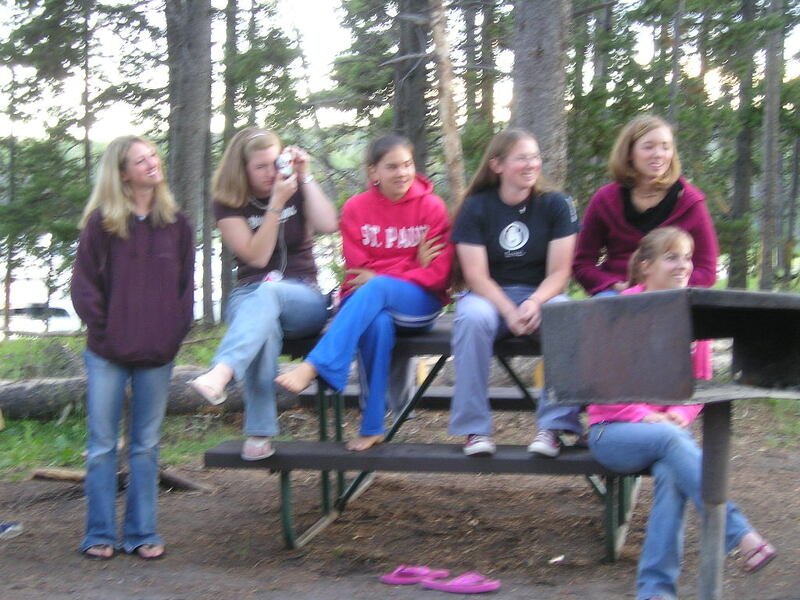 In 2005, I went on Spring Break with my fellow SUNY Brockport Campus Crusade for Christ students to Providence, Rhode Island, where we had a party of a time with 2-3,000 other Christian students at a conference of sorts. I was finding that CC4C was a deep well of fellowship and personal growth. 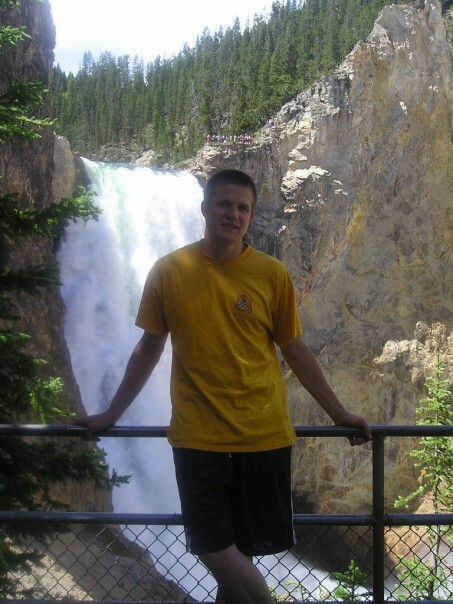 That summer of 2005, I went alone on the trip of my life to Yellowstone as a missionary through CC4C. There I met 24 other students from up and down the East Coast, all ready to work in the park as cabin cleaners for an entire summer of fun and fellowship. CC4C arranges these summer projects all over the world–Christian students go on project to be missionaries as workers in locations domestic and abroad. I figured Yellowstone was just about the best place I could possibly pick, and it didn’t disappoint! 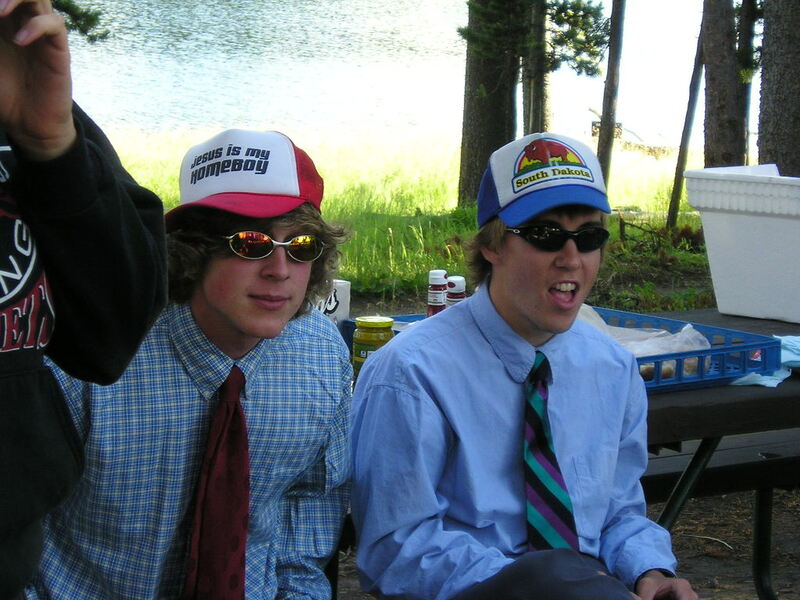 I could write a whole book on that year, and particularly all I experienced in Yellowstone as a baby Christian. The heart of the summer, for me, was in falling in love with one of the young ladies on project with me. I kid you not, the first time she spoke to me I wasn’t even looking in her direction, and I felt my heart skip a beat. I spent the summer acting like a drunken fool, trying to win her heart. Suffice to say, I wasn’t her type, but she didn’t definitively refuse me until January 2009. I spent almost four years wooing this woman, only to have her tell me I was too emotional, and not her type. Looking back, this is a singularly formative season of my life. Not only did I grow to deeply love my friends from Yellowstone, I also came to understand that the deepest affections are rarely satisfying. More often than not, and in fact almost always, finding friends whom you love leads to heartbreak and loss. On the last day of our project in Yellowstone, I cried in front of my friend Matt, telling him I was scared none of us would remain in touch. He assured me everyone would make every effort to stay in touch. I had found in those fellow CC4C missionary students a group with whom I could identify. These were people I adored and spent all summer with hiking, working, singing, worshiping, and laughing. We shared our lives, encouraged one another, and formed sincere bonds of friendship. After we all returned home, we all got together in Massachusetts once, and many of us got together in New Hampshire on multiple occasions. I saw some of them in Florida, in my home state of New York, Virginia, Louisiana, and even Spain. We all kept in touch for several years… but then I saw it happening. One by one, we stopped hearing from certain of us. One guy became a Roman Catholic, and in my bewilderment, we stopped talking. I attended the wedding of one of my favorite of the young ladies, but of course, once a young woman is married, it becomes slightly difficult to keep up a friendship with a male friend like me. The bonds of the magical Yellowstone summer were tearing apart, and as of today, I only have minimal contact with one of those people, by accident of Twitter (for which I am quite thankful). You cannot imagine what it was like for me, having been an opiate addict in late 2002, to be surrounded by healthy, wonderful Christian friends in their late teens and early twenties, only a year and a half after I got out of jail and rehab. It was as if I had stepped one foot into heaven itself. Surrounded by the otherworldly landscapes and wildlife of Yellowstone, I was baptized into the soul-comforts of being accepted and loved within a Christian family. I truly can’t understate how important those people were to me during that summer. Looking back now almost 13 years since Yellowstone, I almost wish I had never gone. It seems to me now I may have been better off pursuing a solitary life of study and prayer all of these years. Yes, this spiritual autobiography is so far a bit dark and pessimistic. What I ask you to understand is that I am trying to work out some things that have been bothering me for years. The writing is not profound, the storytelling is bare bones. If you don’t like it, don’t read any more. I’m writing for me, and I’m writing for my family. If you find something here of worth to you, perhaps something that resonates with you, then follow along, and I’ll see you here next time. Next installment, I’ll talk about the way life unfolded with my Christian college friends. Man, I definitely relate to the sentiment you are trying to describe in this post. It’s a sadness that could swallow you up. feel the disconnect at church. I appreciate your honesty. God bless and keep you. I’m still at a loss for why this exist.